The second edition of Hong Kong’s Belt and Road Summit spotlighted how the trade and economic development plan has begun to materialise into concrete projects. Three years since Chinese President Xi Jinping unveiled the Belt and Road Initiative, the game-changing economic and development blueprint has begun taking shape. 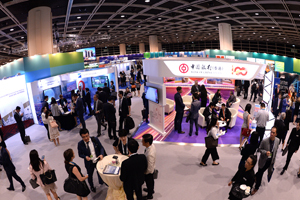 That was the consensus among participants attending the second Hong Kong Belt and Road Summit, held on 11 September at the Hong Kong Convention and Exhibition Centre. 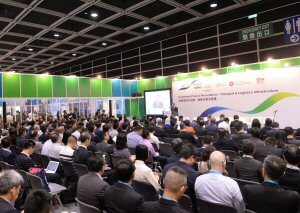 “Our theme this year is ‘From Vision to Action,’ as we help to bring together tangible projects, serious investors and knowledgeable professionals to package complex developments into commercially viable and bankable projects,” said HKTDC Chairman Vincent HS Lo at the opening session. 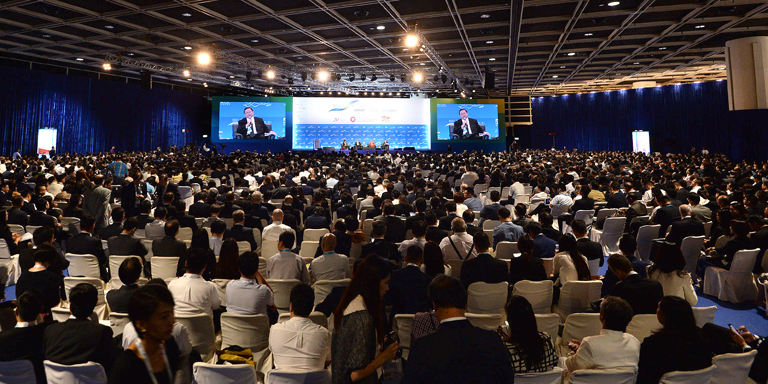 Jointly organised by the Government of the Hong Kong Special Administrative Region (HKSAR) and the Hong Kong Trade Development Council (HKTDC), the Summit attracted 3,000 political leaders, policymakers, business leaders and experts in related trades from some 50 countries and regions. Some 40 senior government ministers and business leaders also spoke at the event. 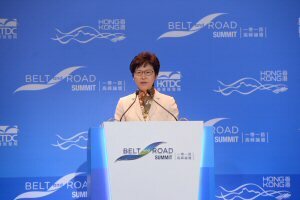 In her keynote speech, Hong Kong Chief Executive Carrie Lam said that Belt and Road-related infrastructure projects now underway will spark greater demand for services, including in investment and risk assessment, research, financing, insurance, accounting, legal services and arbitration. “Today, these service sectors represent new economic drivers for Hong Kong and are essential to the Belt and Road vision," Mrs Lam said. Some 1,700 Belt and Road-related projects are now underway around the world, many of them involving China’s state-owned enterprises (SOEs) undertaking infrastructure projects. One of them, the China Railway Group, plans to team up with Hong Kong’s MTR Corporation Ltd on rail projects along Belt and Road routes. Together, they have already bid for a project to build a 350 kilometre high-speed rail link between Malaysia’s Kuala Lumpur and Singapore. “Southeast Asia is far behind in infrastructure development,” said Jaime Ayala, Chairman and CEO of Philippine conglomerate Ayala Corporation, one of the speakers at a panel examining the region’s infrastructure development needs and related opportunities. “In order for growth to continue, we need to develop infrastructure. There’s a unique opportunity to create the infrastructure necessary to expand globalisation.” Mr Ayala noted that Hong Kong can play a catalyst role by helping to link Southeast Asia’s private sector with China’s state-owned enterprise projects. The sentiment was echoed by Chairul Tanjung, Chairman of Indonesia’s CT Corp, who said that as a key Belt and Road partner, Hong Kong can serve as a communication bridge between China and Southeast Asia. The Summit was also a business-matching platform for more than 200 project owners, investors and services providers. 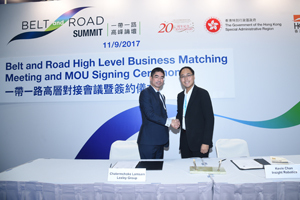 Loxley, a Thai-listed company that received an HKTDC mission in May, signed a Memorandum of Understanding with Hong Kong’s Insight Robotics Ltd at the Summit. The agreement paves the way for the introduction of Hong Kong’s advanced technologies to Thailand under the country’s “Thailand 4.0” development plan, which aims to accelerate Thailand’s economic development through technology. The HKTDC also organised project presentations and business-matching opportunities for Loxley representatives. Just as the Belt and Road is not only a China initiative, the global development blueprint also offers countless opportunities for SMEs to grab a slice of the market, making Hong Kong the ideal conduit, said Hong Kong Secretary for Commerce and Economic Development Edward Yau. “Had the Belt and Road been confined to the Global 100s or Fortune 500s, Hong Kong would not have been the market place,” Mr Yau said. At a panel featuring young entrepreneurs who have ventured outside their local markets, speakers outlined how they have started tapping opportunities from the Belt and Road Initiative. Hong Kong-based architectural and design firm hpa, for instance, is building smart cities across Southeast Asia, including in the Philippines. “At its core, the Belt and Road is about connecting people,” said hpa Deputy Managing Director Ho Nicholas Ho. “The future for companies like us is to identify key markets of what the Initiative can bring together.” Still he noted: “Risk-mitigation is a huge issue for SMEs, which don’t have Chinese SOE backing.” He said that government agreements for taxation and financing would help boost SME support. Return on investment for smaller companies won’t be immediate, said Glendy Choi, Executive Director and CEO of infrastructure company D&G Technology Holding Co, Ltd, which is present in 17 Belt and Road countries. Ms Choi said SMEs have to be prepared to sacrifice short-term profit, noting however that the long-term investment allows Hong Kong companies such as hers to diversify to other markets beyond the Chinese mainland. Apart from physical infrastructure, developing the digital economy along Belt and Road economies is another key focus. Technology-related businesses are upbeat about prospects brought about by the Initiative, which brings together more than 63 per cent of the world’s population. Pawoot Pongvitayapanu, CEO of Thai-based online platform TARAD.com, said the Initiative pushes SMEs to think beyond the local market. “With just one click, you can connect a million people. The Initiative helps SMEs think outside the domestic market, to the bigger world.” Ivan Teh, CEO and Managing Director of Fusionex, a Malaysian-based data technology company specialising in big data analytics, artificial intelligence, deep learning and the Internet of Things (IoT), agreed, saying these were “exciting times.” Mr Teh noted that some emerging economies already require that digital processes be put in place to ease transactions. “You will see a gradual shift in in terms of moving away from some of the bureaucracies that hinder a lot of the processes in trade, financing, loan and trade facilitation. There will be a lot of work put in place from government-to-government, government-to-business, and from businesses that are driving these platforms with SMEs. A lot of the permits, trade facilitation and trade agreements will gradually move towards digitisation,” he said.